Have you read any recommendation-worthy books in this first month of 2011? Outliers by Malcolm Gladwell was the first book I finished this month and the first I’ve read by the author. A friend jokes that most of what Gladwell will say in any of his books can be surmised in their titles. There’s some truth to this, but Gladwell is a great writer and advances his thesis compellingly with just enough data mixed with plenty of page-turning stories. Outliers and Jared Diamond’s Guns, Germs, and Steel have convinced me of the massive significance environmental factors play on the success of individuals and civilizations. 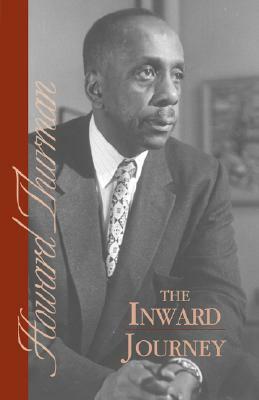 Late last year I heard Efrem Smith recommend Howard Thurman’s collection of short devotionals, The Inward Journey, and I’m appreciating the author’s insight. This is a book that will follow me throughout the year; it’s enough to read one of the page-length sections each day. The Dangerous Act of Loving Your Neighbor: Seeing Others Through the Eyes of Jesus by Mark Labberton is also in the currently-reading stack. I’m familiar with Labberton’s writing from Leadership Journal, but this is the first of his books I’ve read. Labberton impresses in the way he writes about how we see, and how our vision impacts how we act when confronted with injustice. More about this book soon when I post my review. I’m also coming to the end of Last Call: The Rise and Fall of Prohibition, an absolutely fascinating (and thorough) historical account of a period of American history I knew little about. One of the consistent themes throughout Daniel Okrent’s book is the truism about politics making strange bedfellows. The KKK, suffragists, and union organizers among others all came together to support the passage of the 18th amendment. This year I’m participating in a coaching cohort for pastors of multi-racial churches and the first book we read was People of the Dream by Michael O. Emerson. There were plenty of important take-a-ways in this sociological look at the incredibly small percentage of multi-racial congregations in the US. Next up for the cohort is The Heart of Racial Justice by Brenda Salter McNeil and Rick Richardson. Finally, there are two books in the mail that I’m especially excited about: Paul Among the Peoples by Classical scholar Sarah Ruden and Clouds of Witnesses: Christian Voices from Africa and Asia by Mark Noll and Carolyn Nystrom. Howard Thurman is a favorite. I’ve read almost all of his stuff. I come back to The Inward Journey once a year. Good stuff. I’d commend Mirslav Volf’s Against the Tide. In it you get short three page pieces, written originally for the Christian Century, but the pieces pack the weight of his theological muscle while making it simple and readable, if I can put it that way. You’ve already mentioned Eula Biss, but I’d underline that precious book of essays. You read The Inward Journey every year and I had to hear about it from someone else?! Or maybe you mentioned it and I forgot; an equally likely possibility.